LG announced its first Android One Smartphone, the G7 One (first impressions), last year at IFA in August. 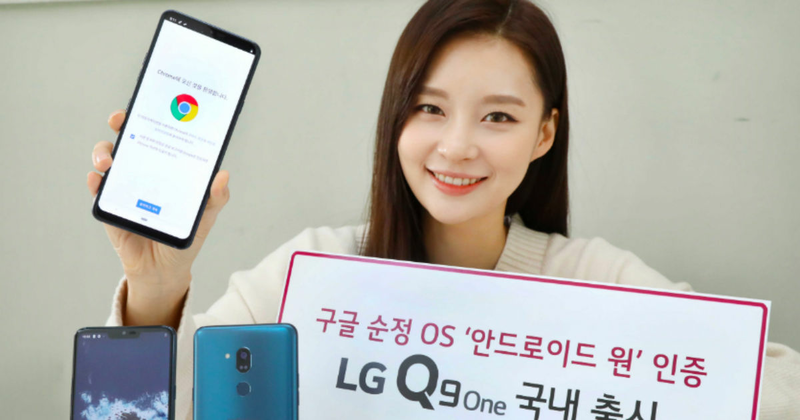 The South Korean brand has now launched the same smartphone in its home country with a new name – LG Q9 One. The smartphone retains all the specifications of the G7 One including the dedicated Google Assistant button, notch display, MIL-STD 810G and IP68 certification. The LG Q9 One has been made available in Korea in only Moroccan Blue hue. The Android One smartphone will go on sale in Korea starting February 15th, exclusively via LG U+. The phone is available in a single variant and has been priced at KRW 5,99,500 (roughly Rs 37,940). The LG Q9 One ships with a 6.1-inch FullVision display with 19.5:9 aspect ratio and 3,120 x 1,440 pixels screen resolution. The performance of the handset is handled by the octa-core Qualcomm Snapdragon 835 SoC, backed by Adreno 540 GPU. The chipset accompanied by 4GB RAM and 64GB storage, which can be expanded up to 2TB using a microSD card. The handset flaunts an IP68 rated glass-sandwich design, which is also MIL-STD 810G certified for durability. For security, the smartphone offers a rear-mounted fingerprint scanner. In the camera department, the LG Q9 One features a single 16-megapixel rear camera with f/1.6 aperture size and 8-megapixel front camera with f/1.9 aperture. As already mentioned, the LG Q9 One is an Android One device, which means it comes with stock Android (9.0 Pie) out of the box. A 3,000mAh battery with Quick Charge 3.0 support powers the handset. On the connectivity front, the phone offers 4G VoLTE, Wi-Fi, Bluetooth 5 LE, GPS, NFC, and USB Type-C 2.0.